MISSION ESL COMPUTER LAB: "The Evolution of American Folk Music" from VOA. 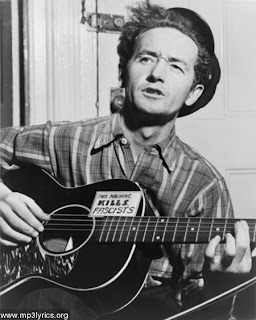 "The Evolution of American Folk Music" from VOA. Welcome to THIS IS AMERICA in VOA Special English. I'm Barbara Klein. This week on our program, we explore American folk music, the music of the people. The story was retold in poems and songs -- including the hit song, "Tom Dooley,"recorded in nineteen fifty-eight by the Kingston Trio. 1. 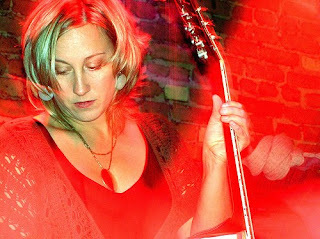 __________________ has a developed a new kind of folk music that mixes traditional folk with rock music featuring acoustic instruments. 2. ___________________ wrote "Good Night Irene". 3. 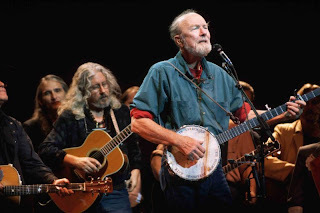 To "We Shall Overcome", Pete Seeger added the verse "_________________". 4. "___________________" was the theme song for the American Civil Rights Movement of the 1960s. 5. "___________________" is a song about a Civil War veteran found guilty of killing his girlfriend. He was hanged in 1868, but many think he was innocent of the crime. 6. _______________________ were popular singers who wrote and sang Viet Nam War protest songs . 7. 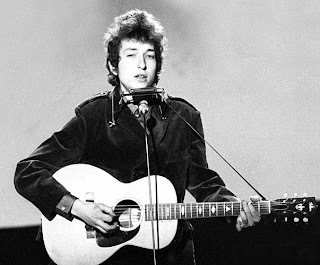 "Blowin' in the Wind" was written by Bob Dylan. It is _____________ song. 8. Woodie Gutherie wrote ____________________ he recorded. 9. A protest song against private property and unequal treatment of citizens was a reaction against Irving Berlin's popular song "___________________". 10. 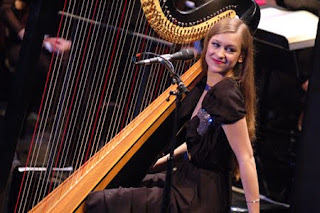 The list of "more contemporary folkies" doesn't include _____________________ . Click on any of the links in the article to enjoy these wonderful folks songs and their lyrics. Here is Joan Baez singing "We Shall Overcome". We shall be all right, some day. We are not afraid, Oh, NO!!! 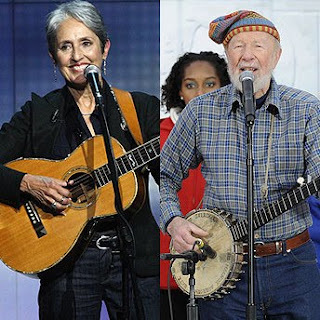 Joan Baez once said that social justice was more important to her than singing. beautiful singing voice of Joan Baez. Here is an article about her in Wikipedia.